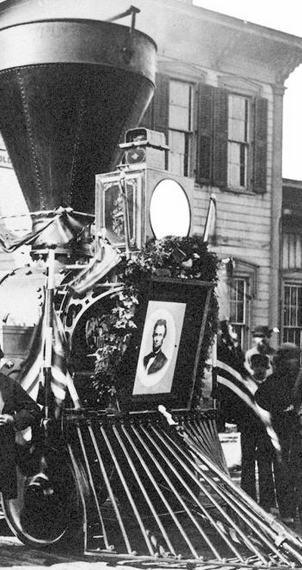 One hundred fifty years ago this week, President Lincoln’s funeral train was making stops across the country as it bore the slain president’s body back to the city he loved: Springfield Illinois. 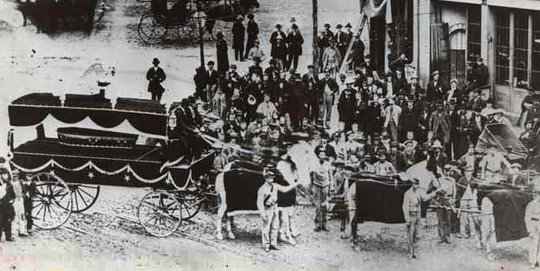 The “Lincoln Special” traveled 1,654 miles across the country from April 21, 1865 when the President’s body left Washington D.C. until its final arrival in Springfield, Illinois on May 4th. 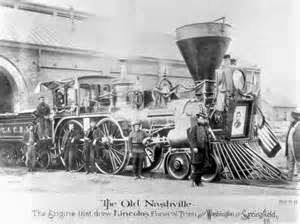 The original train stopped in 180 cities and towns throughout seven states in order to give the country a chance to mourn Lincoln’s passing. At each stop, his coffin was removed from the train and lay in state for public viewing. 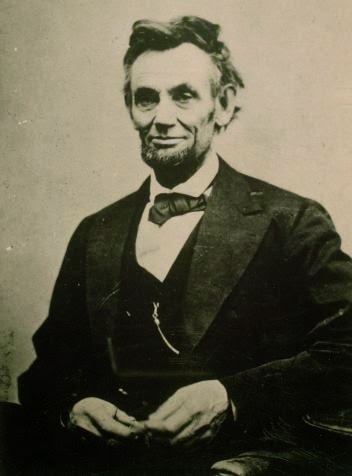 The train traveled the reverse route Lincoln had taken when he left Springfield to take his place as President of the United States in 1861. 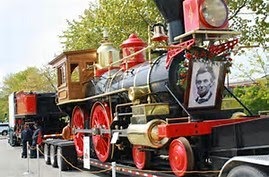 Lincoln’s train pulled in to the Springfield depot on Wednesday, May 3rd. 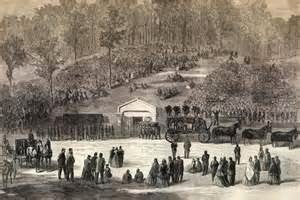 The next day, Lincoln, along with the remains of his son Willie, who had died of typhoid fever in 1862, were interred in Oak Ridge Cemetery. To commemorate this historic event, this week, a replica of the funeral train has recreated the journey from Washington D.C. to stops in 15 cities and town before arriving in Springfield today, May 1st. This weekend, several events are planned. Tomorrow, May 2nd, a re-enactment of the hearse procession will travel from the depot to the old Illinois State House for the opening ceremonies. The day will conclude with civil war-era band concerts and a candlelight vigil to be held throughout the night at the State House grounds. The historic procession to the cemetery will be held on Sunday, May 3rd accompanied by re-enactors from around the country. The same eulogy, speeches and salutes will be given once again in Oak Ridge Cemetery, along with the original music played at the ceremony in 1865. What fitting tributes for a President whose death had the effect of pulling the nation back together after a bitter war that had ripped the nation apart.